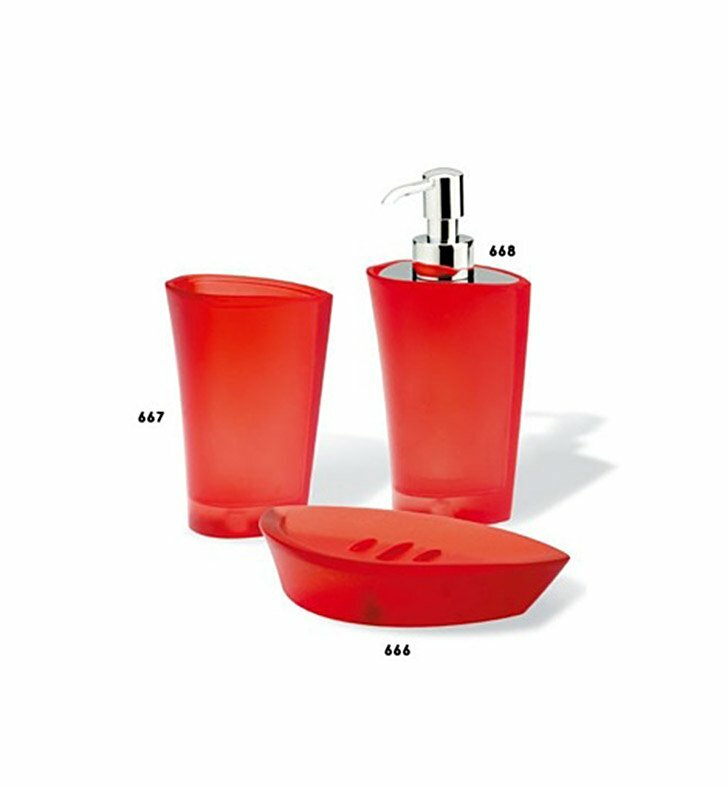 A beautiful bathroom accessories set made in the highest quality resins and brass and coated in white, transparent, orange, black, red, or coffee. This accessory set from the StilHaus Cali collection is a contemporary-style bathroom accessory set. Manufactured in and imported from Italy. Perfectly compliments your high-end master bathroom.